I continued to ask the question of my co-worker Dads: What would like for Fathers Day from the aisle of our Home Depot? 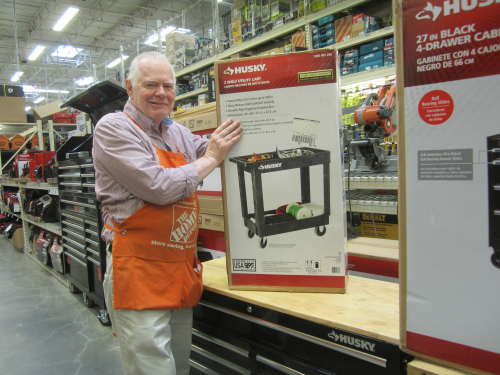 John, who works in the hardware department, and who is the Captain of the Kids Workshops in our store, has simple request “ I would like a utility tool cart, this way I can put all the tools I need together for a project, cart them to wherever I am working and have everything close at hand”. This is a great suggestion, and a wise choice coming from the man who gathers all the tools and materials for the,100 plus children, that attend his workshop monthly. 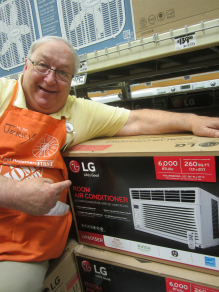 Who would have guessed the coolest dad in our Home Depot would request an air- conditioner for his father’s day dream gift? Jerry: an Appliance Specialist, a mix master at the paint desk, and he also dances through the plumbing department giving out great advice and leaving everyone he helps with a smile on their face: said, “LG 6000 BTUs this is the baby I want, it has remote control!” Perfect to come home to after a long day on the course, or in the aisles!....but Jerry you are already so cool! 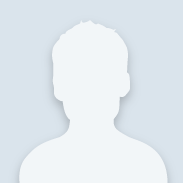 John, a guru, and Electrical Specialist, is always running here and there to help someone solve an electrical problem, busy, busy, it is no wonder why he choose the gift he did. 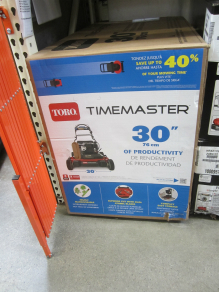 The 'Timemaster' a dual blade lawn mower by Toro; yes this is an impressive machine... And with the broad 30 inch cutting path, he will be able to mow his lawn faster and easier, and be off to help someone who needs his electrical expertise! 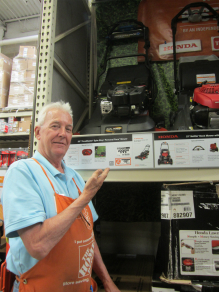 Homer the most sought after hardware associate in the building, who has been answering customers questions and concerns for over 21 years in the Home Depot aisles, knows exactly what he wants for father’s day. “This is a great deal, two battery packs, a charger, a great DeWalt 20 amp cordless grill, and a carrying case, this is all I want. I asked Homer “With everything that is in this store, and all the tools you advice on and sell all day, this is what you picked? 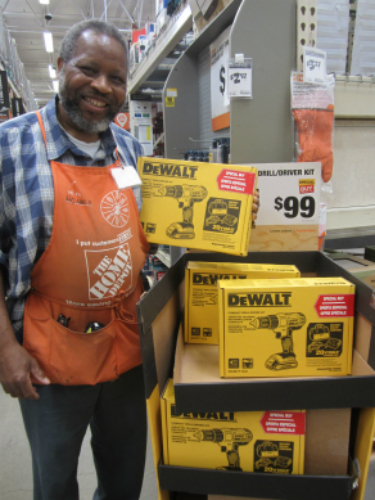 “Yes, this is what I would use the most, I would like own this drill, and this is a great gift”! Father’s day is a day to give dad what he wants or needs: a gift that will make his life more convenient and easy, or comfortable and cool, or make tasks easier and faster, or a gift that is practical that he will value and use often. Time is the greatest gift of all, give your dad some time…. pick up a Home Depot Gift card for Father’s Day, and bring him to the local Home Depot, spend the time, walk the aisles, let him choose his own gift. Whether he picks up a drill, a mower or an air-conditioned, it is your time together he will appreciate and enjoy the most, the gift he chooses is just a bonus! Check out last week Fathers Day gift suggestions!